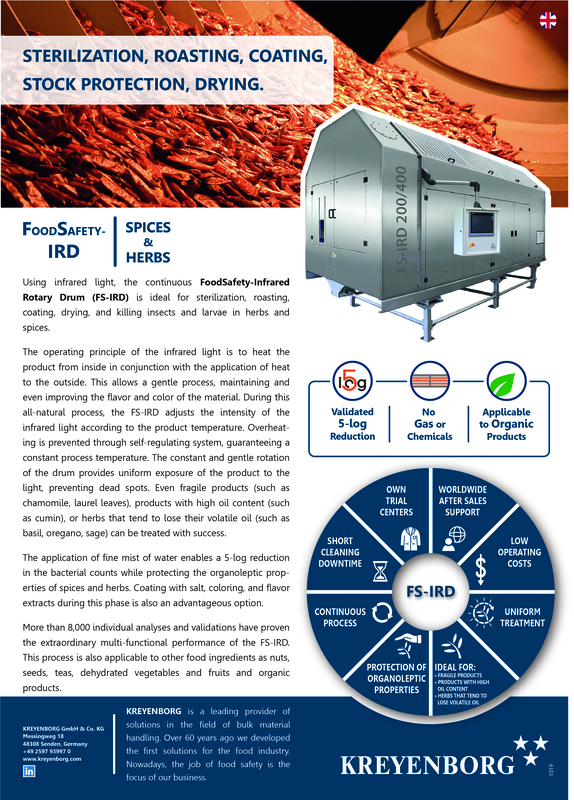 Using infrared light, the continuous FoodSafety-IRD can be used for sterilization, roasting, coating, drying, and killing insects and larvae in many food ingredients as spices and herbs. 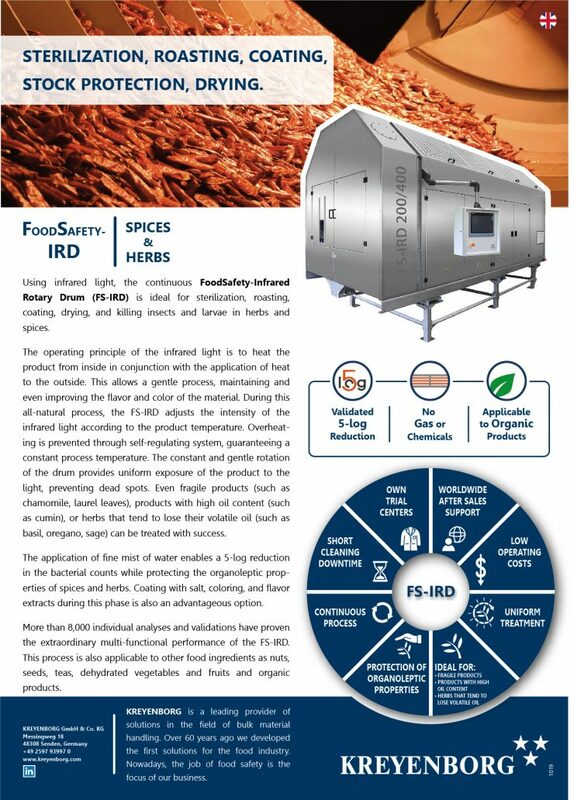 Using infrared light, the continuous FoodSafety-IRD can be used for sterilization, roasting, coating, drying, and killing insects and larvae in many food ingredients as spices, herbs, seeds, teas, vegetables, fruits, and nuts. If Post Consumer Recycling Materials are to be processed directly into PET Sheet, with a process authorized by FDA or by EFSA is an indispensable solution required. 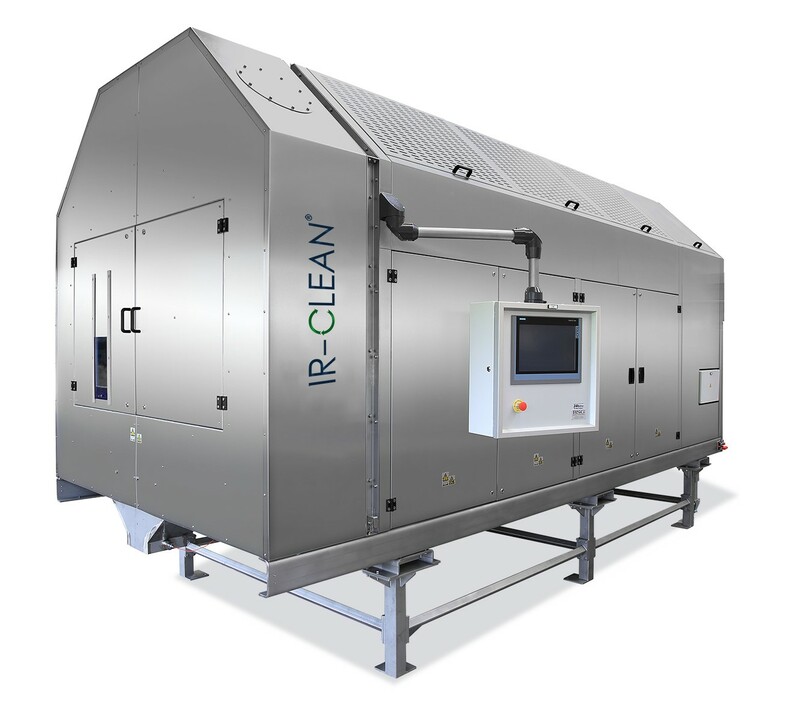 With its IR-CLEAN® System, KREYENBORG now offers an attractive and low-cost alternative for Post-Consumer Materials and direct decontamination processing of PET – without any kind of vacuum technology. “Application of the Month” is a quick and visual way to update you on the latest materials and applications that have been running in our machines. In action, you’ll see our FoodSafety-IRD, the IRD for the plastic and chemical industry and our bulk material solutions. With you, the star of the month: Roasting of PEANUTS! The two components, PTFE (known under the brand name Teflon®) and SAN (styrene-acrylonitrile copolymer) are combined into one product in this process. 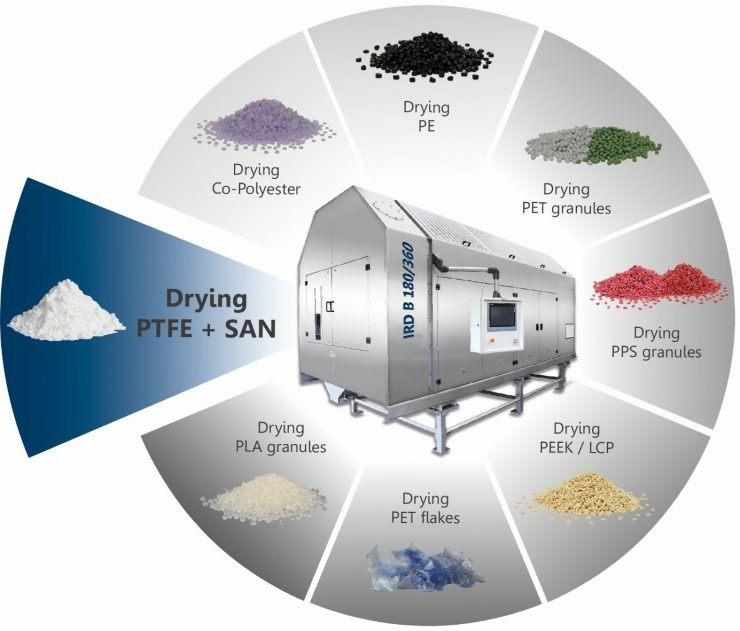 The PTFE / SAN mixture has a high stickiness and clumps very fast. PTFE and SAN are “combined” by using KREYENBORG IRD (Infrared Rotary Drum) to form a product under the influence of heat and permanent and careful mixing. Nuts, almonds and seeds are very high-quality foodstuff. 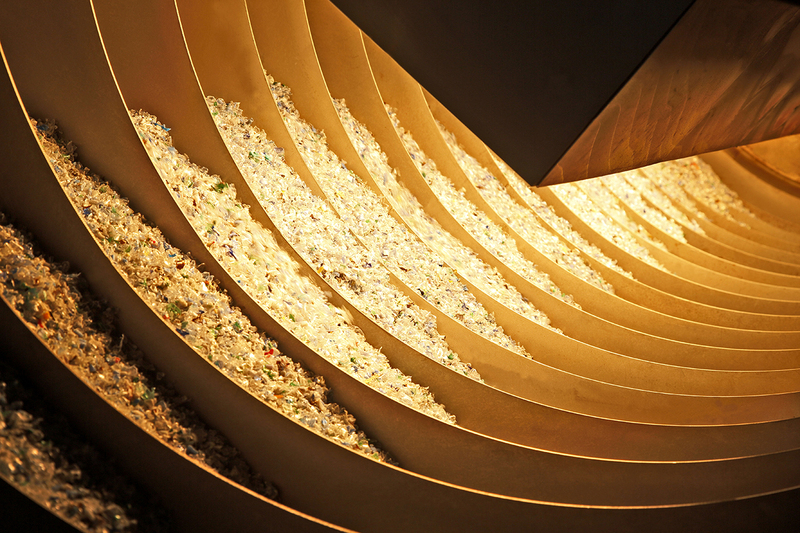 However, long-chain fatty acids and the volatile or heat-sensitive constituents make these products very sensitive to thermal treatment processes. If, however, these products are treated with the innovative KREYENBORG FoodSafety-IRD, the constituents will be protected and the products’ durability will be extended. 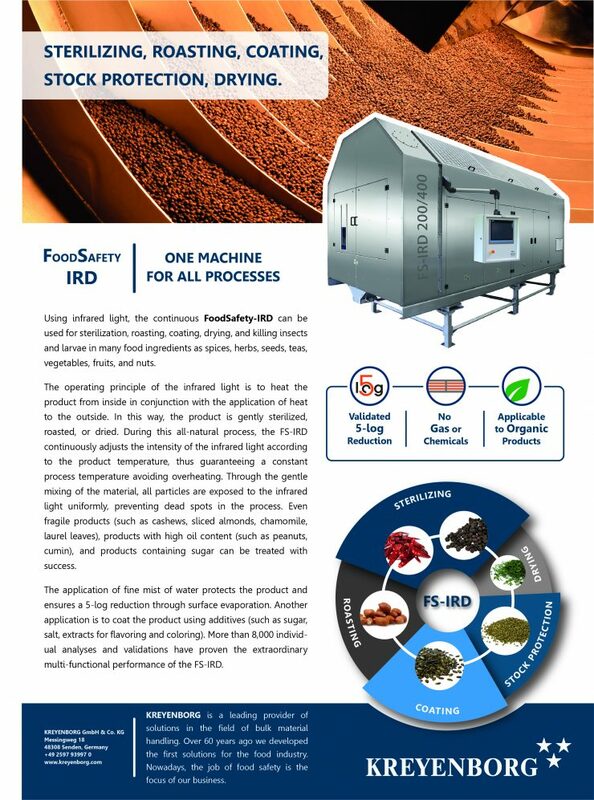 On the occasion of the ProFood Tech in Chicago, USA, KREYENBORG Plant Technology GmbH, Germany, will be presenting for the very first time a successful way to treat bulk foods such as tea, spices, dried herbs or vegetables, nuts, kernels and seeds with infrared light so that germs are drastically reduced and numerous harmful substances dissolved and volatized. KREYENBORG shows the different areas of application of the IRD machine.